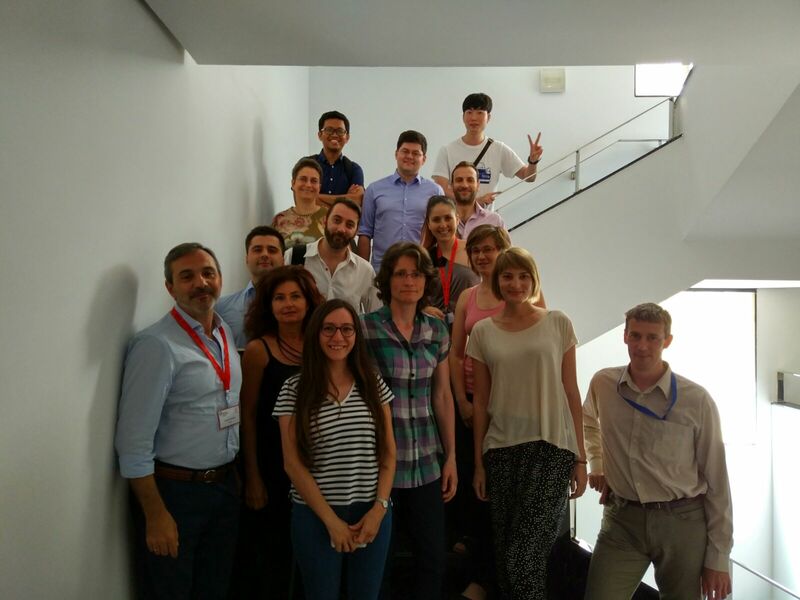 Within the framework of Eurostat’s European Statistical Training Programme (ESTP), DevStat in consortium with the Lithuanian Department of Statistics and the National Statistical Institute of Bulgaria held a three-day course on “Machine learning econometrics” in Valencia on 12-14 June 2017. 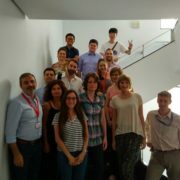 The course was taught by Mr José Luis Cervera (course leader) together with Mr Iván Arribas and Mr Francisco Rangel and it was attended by fifteen participants from several National Statistical Institutes within the European Statistical System (ESS), but also from other Institutions. The objective of the course was to provide the participants with innovative algorithm-based econometric techniques for data analysis, with application to datasets from official statistics as well as from other sources (Big Data, text data). The content of the course covered the following topics: examples of use of econometric methods in Official Statistics; model-based vs algorithm based inference; machine-learning and computational issues; machine-learning linear estimation; machine-learning non-linear estimation methods; econometric analysis applied to textual data and manipulation of big data sources (SQL and NoSQL databases). DevStat thanks the trainers and also the participants for their commitment during the course sessions. 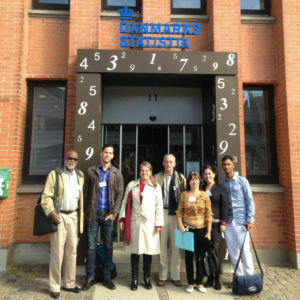 DevStat has organised a study visit to the Danish National Statistical Institute for delegates of the National Statistical office of Cuba (ONEI). The visit took place between the 31 May to 2 June 2017, in the framework of a cooperation project signed between the EC and the FIIAPP (International and Ibero-American Foundation for Administration and Public Policies). Ms Monica Bergamini, international project consultant at Devstat, accompanied the 7 representatives from the ONEI during the whole visit. During the three days, the ONEI delegates could see from a practical point of view, how the Danish Statistical Institute created and manage the business register and how the main structural business statistics are compiled. The visit covered issues such as: frozen frames, quality within the business register, imputation and estimation in survey based business statistics and short-term statistics, among the several subjects presented. 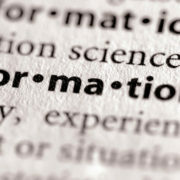 Data revolution and behavioural insights: possibly the most game-changing factors in modern decision-making in public and private spheres, requiring a combination of skills and methods. As any innovative company, DevStat has reorganized itself to become a relevant player in this fields. Upstream, DevStat will contribute to the development of methods linking traditional statistics, Big Data analytics and behavioural science, through the endowed “DevStat Chair” at University of Valencia, collaborating with associated researchers in fields such as statistics, microeconomics, neurobiology and computer science, under the guidance of Dr José Vila (University of Valencia) and other outstanding scientific advisors. Downstream, DevStat will propose sound quantitative methods for improved decision-making by governments, international institutions and companies, and increase its efficiency in managing transfer of know-how and capacity building projects, especially in developing and transition countries. Internally, DevStat will consolidate its three areas of work: quantitative consulting, technical assistance and trainings & events, under the technical coordination and managerial supervision of José L. Cervera-Ferri, senior statistician and consultant to international organisations. Interested candidates to join DevStat’s team for positions of consultants – without restrictions on fields of specialisation – and project managers can send at any time their resumes to jcervera@devstat.com. Researchers interested in collaborating with the DevStat Chair can send theirs to jvila@devstat.com.